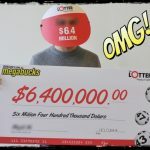 Funny Costumes of the Chinese Lottery Winners! Next Time You Win the Lottery Please Dress up as the Mighty Bat Man! You Might Need All the Strength to Carry That Check! We know and we get it. You want to protect your identity because you’re afraid someone might have the balls to rob you dry in broad daylight. Or you think that your relatives will make a milkshake of you while they roll the cash, dip in the shake and drink all your money. Makes sense why people want to protect their identities, but truth be told, even if you do protect, you can never leave anything hidden forever! It will come out, one way or another! But here’s a treat for those who’re looking to smile, or those who’re looking for creative ways to stay anonymous. Look at the Chinese lottery winners, grab a suit and suit up! 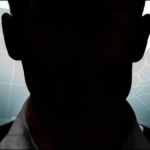 So here’s a guy who did a pretty amazing job with hiding his true image! 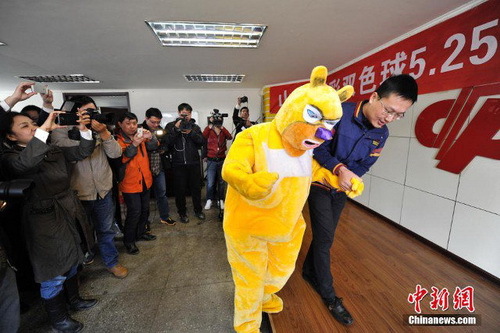 He dressed up as Pooh Bear to collect his fortune of nearly $85 million! Everyone who was there, couldn’t help but wonder who this man from Shanxi Province was, and maybe we’ll soon find out, but I did like his creativity – a cross between Pokémon and Winnie The Pooh! This was way funny to even look at! 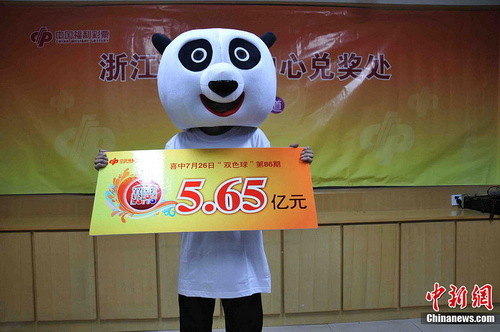 They guy had a big head of a panda over his head when he claimed his big fortune of a staggering $88.5 million! Donning a panda helmet, the guy showed up 34 days after the prize was announced, I assume it took him that long to figure out what to be for the big day! He too donated $3.13 million to charities before scooping it all up. 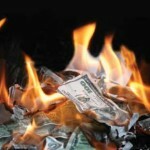 The guy, who claims to be playing the lottery for about 11 years now, said he forgot to check his winning ticket. Forgot?! You won’t believe how he chose his lucky numbers: he chose 6 because he got up at 6, he chose 7 because he had breakfast at 7 and he chose 9 because he paid 9 Yuan for breakfast. Talk about hot and cold numbers, anyone? Oh, and he said he would be donating every year… that’s if you find him! 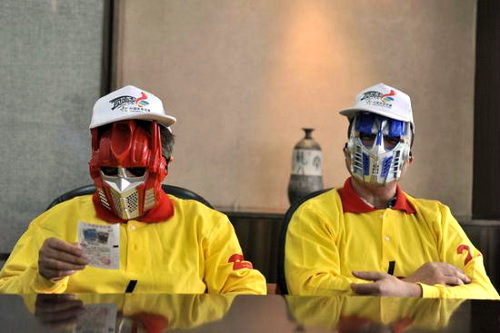 A couple, I’m assuming it’s a guy and a girl, dressed as transformers to claim their winning ticket worth $947,000 on the 20th July 2011. Why transformers? I’m not sure, but it looked funny as hell! If panda could come, a mouse and a bear could come, something from the future, i.e. the transformers could come, so why not the famous Chinese legendary character Monkey King? 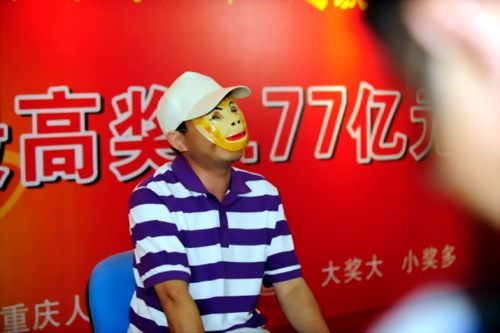 On the 5 of July 2011, a guy with a monkey king mask came to collect a jackpot worth a solid $27.3 million! Oh, what a treat! It makes perfect sense to wear a mask or a costume when you go to claim your winnings because if you don’t, your ex-girl / boyfriend, your long lost “friends”, your “caring” neighbors, your “true” family, your aunt who always “loved” you and many others will come to you asking to be a part of your life! They’ll bring you sweets, roses and gifts thinking that maybe you’ll give them a thousand or so in return! So for all you people out there, if you ever win the jackpot be creative – dress like a dog, maybe a panther, maybe like Bane or like the Cannibal! The list keeps getting better and better! 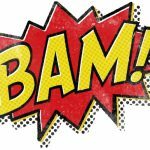 Are Online Lottery Winners Fake or Real?